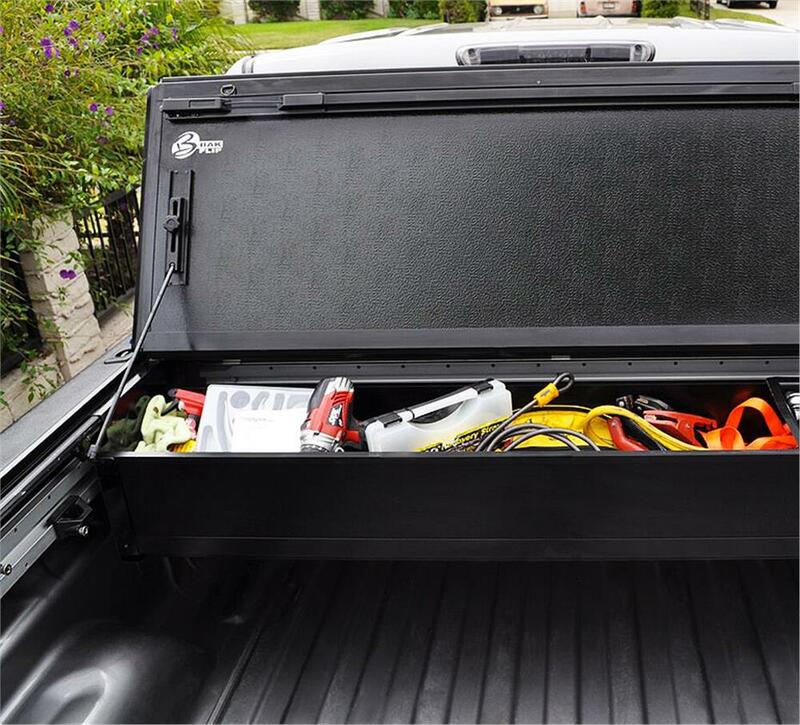 The BakBox 2 is no ordinary toolbox. 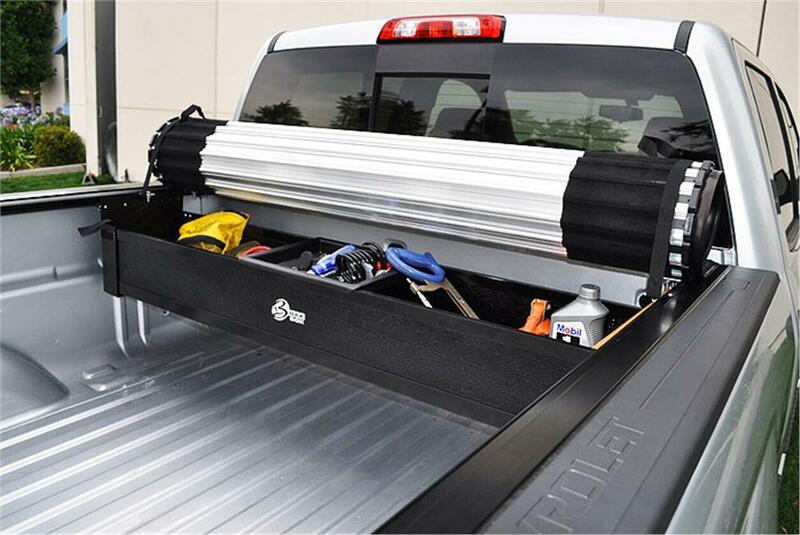 It is literally a box that integrates with your BakFlipG2 or Roll-X tonneau cover, bringing with it a wide variety of incredible utility and functionality. 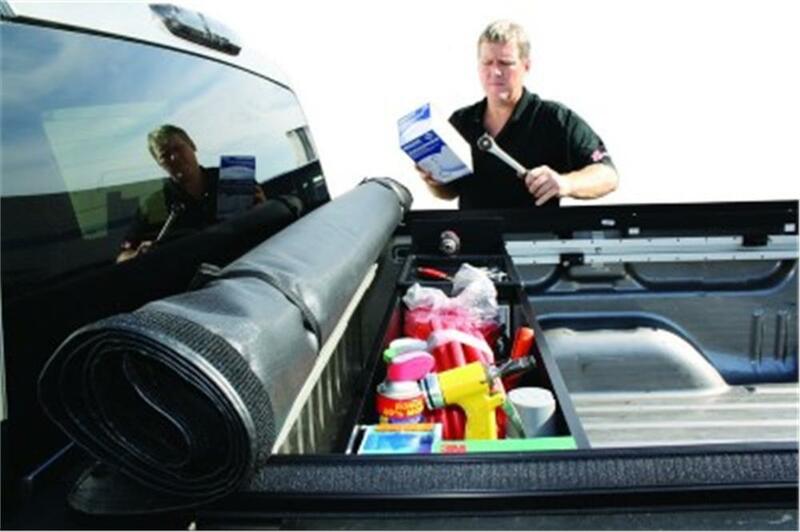 The BakBox 2 easily folds away when you need that extra space in your truck to load large items. 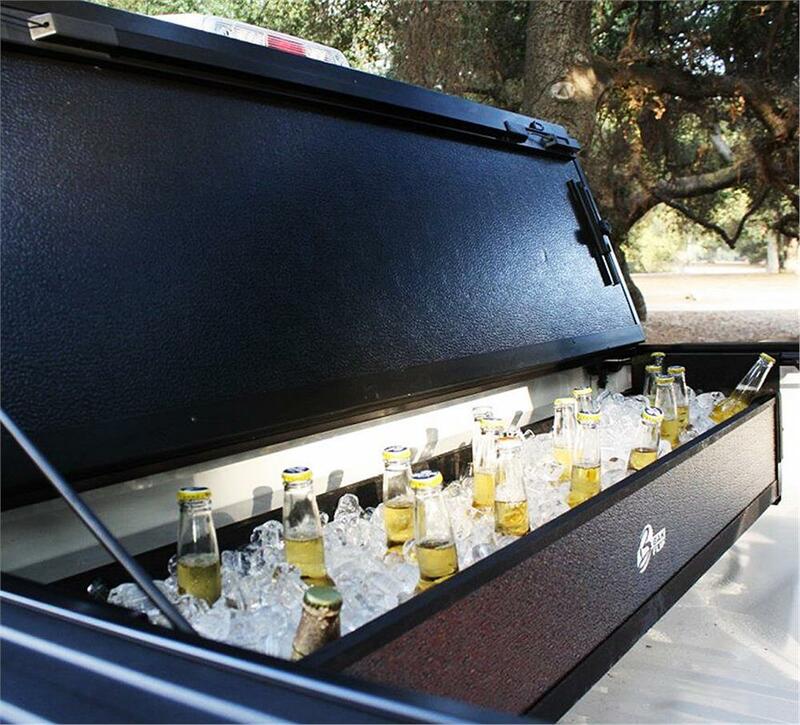 It is made from aircraft-grade aluminum with a powder coated finish, and comes equipped with a sliding tool tray for smaller items. 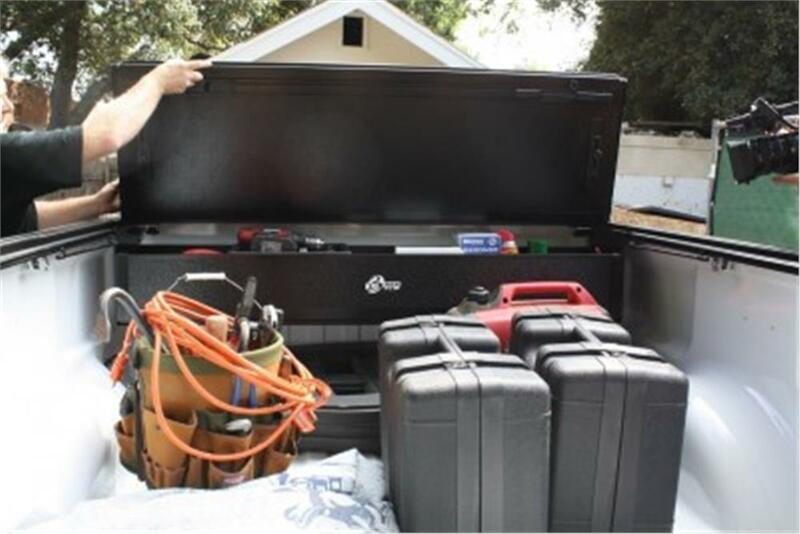 The BakBox 2 converts to shelving, doubles as a cooler chest and can be removed at times when you need to take your tools onto the job site. 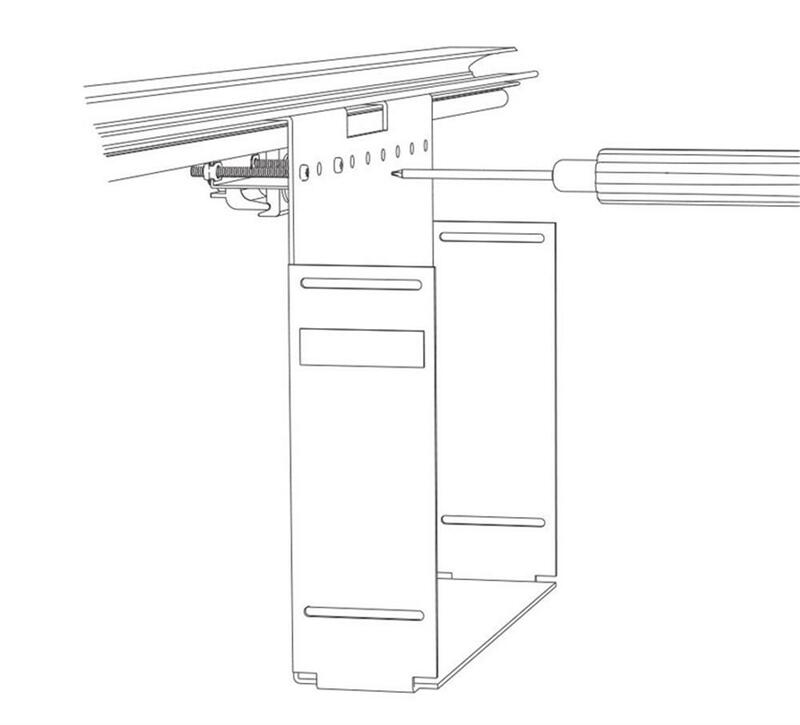 The BakBox 2 weighs only 18lbs yet holds a hefty 400 lbs of even distributed weight. No drilling required and installs easily with a Phillips screwdriver. 1 year warranty. 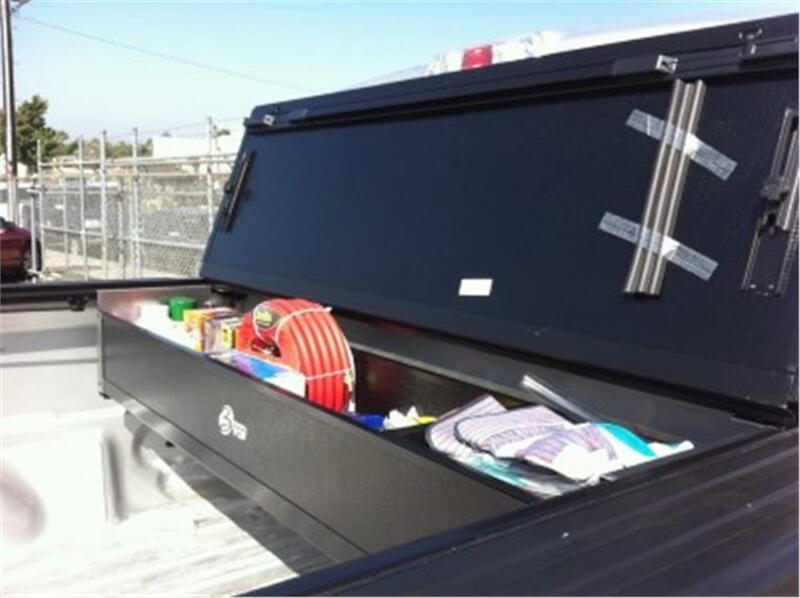 Lockable Storage that Holds up to 200lbs. BAK warrants your BAKBox to be structurally free from defects in material and workmanship for a period of 1 year from the retail date of purchase. Warranty is nontransferable and applies to the original purchaser of the BAK product only. 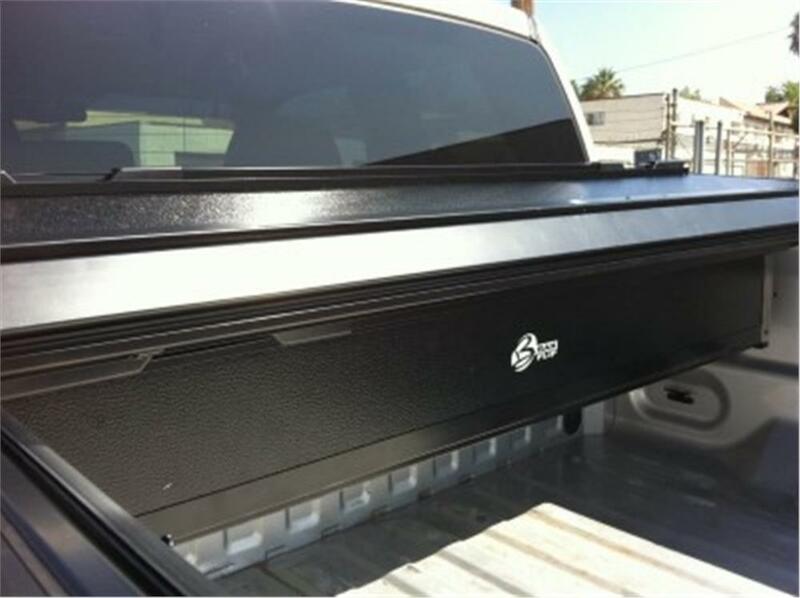 BAKBox Utility Box’s are made from durable FRP (Fiberglass Reinforced Polymer) with an EPS core and frames of aircraft grade aluminum with a black powder coating. Requiring only simple care to ensure a long life and great looks. It is recommended that you periodically check you BAKBox to ensure it is securely attached to the large and plates with the provided hardware. Inspect the clamping brackets to ensure they were properly installed and have not come loose or been knocked out of adjustment during operation. Boxes that are used with high frequency or that are subject to vibrations and impact from roadways can cause the Box to require periodic adjustment and tightening. BAK warrants your BAKBox to be structurally free from defects in material and workmanship for a period of 1 year from the retail date of purchase. Warranty is nontransferable and applies to the original purchaser of the BAK product only. BAK reserves the right to determine whether a product needs to be repaired or replaced. No labor or service allowance is given or implied. The warranty will be void if the product has been damaged by accident, unreasonable use, neglect, improper service/installation/removal, modifications, acts of God, or normal wear and tear or other causes not arising out of defective materials or workmanship. BAK assumes no liability for injury, loss, incidental or consequential damages. BAK reserves the right to substitute an entire replacement system or provide other remedies than those listed in this warranty for discontinued products or other reasons. Shipping charges will apply for any repair or replacement. BAK is committed to providing you with our best service at all times. Please feel free to contact us should you require any assistance with your BAK product.